Want to become a therapist? 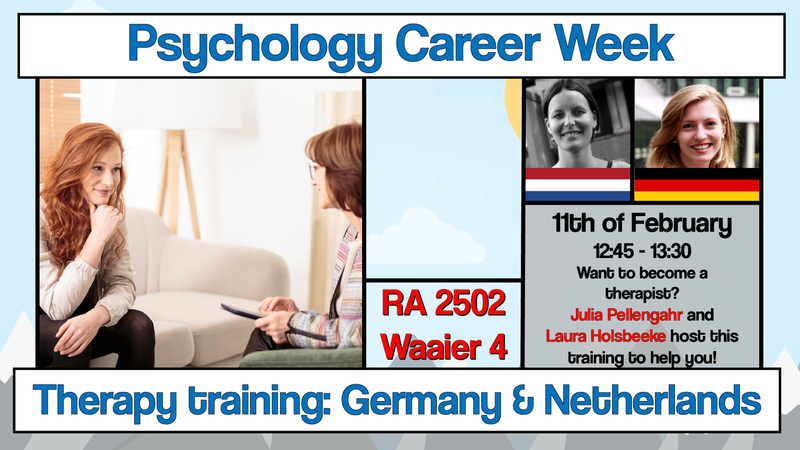 Julia Pellenghar and Laura Holsbeeke will come to talk about tracks to follow a training to become a therapist. Julia Pellenghar, graduated from Positive Psychology & Technology, is currently following the training "Ausbildung zum Psychologischen Psychotherapeuten" at “DGVT Bonn". She comes to talk about how she made the step from this master at the UT, to a subsequent training in Germany. (The talk will be in German). Laura Holsbeeke will give a similar talk about procedures in the Netherlands (in Dutch).